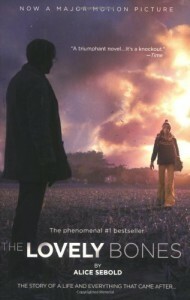 I found the concept of The Lovely Bones interesting, I'm not going to deny that. This book was not recommended to me or anything, and I hadn't seen the movie prior to reading the novel. It was just a random pick that I still regret. What completely ruined this book for me was the poor writing. It was so bad that I was almost constantly frustrated by it. Most of the time I was literally lost in the mile-long and mind numbing sentences Alice Sebold used (still wondering what was the reason behind that). There are many ways to express yourself beautifully, but unfortunately, in my opinion, the author has absolutely no idea how to do that. At the end of the day, I find this book to be ok and I'm sure that there are people who genuinely enjoyed it. The idea was nice, but the story was so poorly told that I don't think I'll ever read anything written by Alice Sebold again.